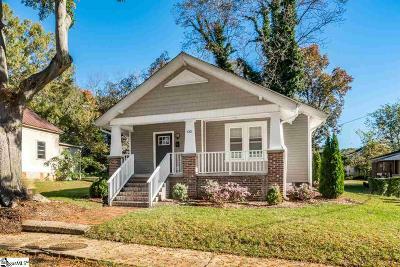 This adorable 3/2 bungalow has been renovated from top to bottom and is walking distance to downtown Greenville! You'll love the open floor plan, the bright kitchen and the large master bedroom with its en-suite bathroom. The back patio overlooks a private backyard and the front porch is a perfect spot to enjoy the neighborhood.